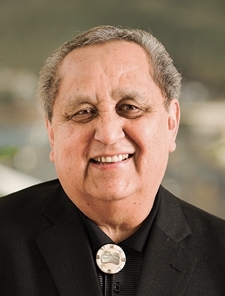 A distinguished policy leader, businessman and cultural ambassador, Albert Kookesh proudly represented the people of Southeast Alaska in the Alaska State Senate for years. Kookesh joined the Sealaska board of directors in 1976 and served as board chair from 2000 – June 2014. He serves on the Elders’ Settlement Trust board of trustees. He also serves as a director for Sealaska Timber Corporation and Klawock Island Dock Company, Inc. 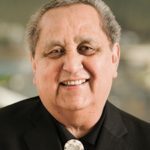 He is a past co-chair of the Alaska Federation of Natives (AFN), served as past secretary and grand president of the Alaska Native Brotherhood, and was special assistant to Alaska Governor Tony Knowles. Kookesh lives in Angoon, where he spent most of his childhood and all of his adult life, with the exception of years away at high school and college. He and his wife, Sally, own and operate the Kootznahoo Inlet Lodge and he has also worked as a commercial fisherman, gillnetting for salmon in the Lynn Canal area. Kookesh is of the Tlingit Nation, Eagle Tribe,Teikweidí (Brown Bear) Clan, child of L’eeneidí (Dog Salmon) Clan. His Tlingit names are KA ShAAN and YikdehHeiN. He has a Bachelor of Arts in history from Alaska Methodist University and a Juris Doctorate from the University of Washington.